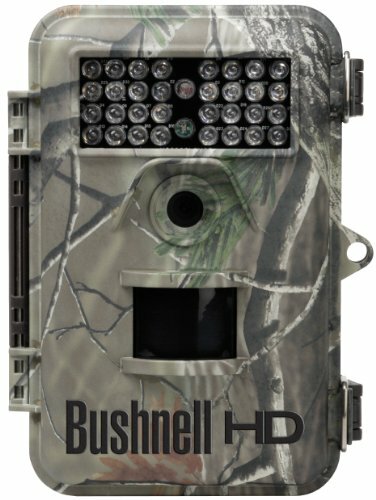 Game cameras are known to be used for hunting activities. One way to assure the success of one’s trailing activity is through properly monitoring your environment. Of course, it is not all the time that we can observe every action of our targets all around 24/7. Hunters cannot always do the manual way of clicking the trigger just to capture the image of a particular target. This is where the importance of motion activated sensors comes in. With just a movement of a subject, a camera can quickly snap an image of a target without doing the normal trigger movement. The camera can quickly catch the picture of the subject and store it in the camera without exerting much effort. This motion sensors can also help in making the trailing activity be as stealthy as ever. 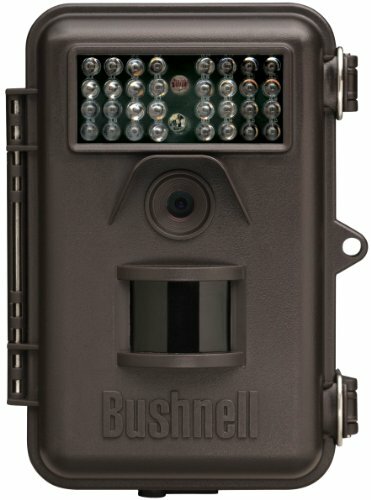 The Bushnell Trophy Cam provides with 12MP full-color resolution images. It features a day and night auto sensor which allows the camera to capture images around the area with ease. With its adjustable PIR, users can adjust the sensitivity level of the camera in triggering pictures. It lets you choose between low, moderate and high, depending on the user’s choice when it comes to motion detection. This highly sensitive motion detection can easily snap pictures whenever anyone walks by its sensor. Just be sure to place it where no other objects such as leaves are blocking its motion sensor. Movements of irrelevant subjects can trigger images which are not needed. Nighttime images can be blurry depending on the pace of the subject captured by the camera. 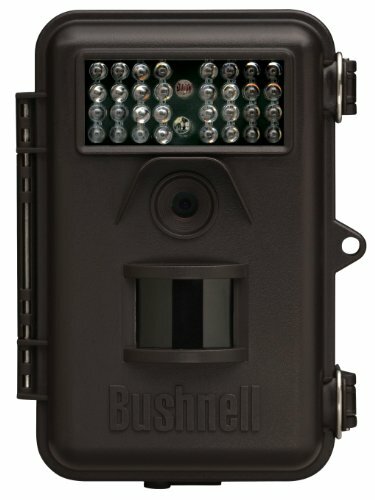 The Bushnell trophy cam provides 6MP full-color resolution images. It features a day and night auto sensor which makes the user capable of using it at any time of the day. It has an activated PIR motion sensor and a hyper passive infrared sensor which detects heat and movement to trigger the camera. Its detection is capable up until around 45 feet in capturing images of subjects. It is accommodated with its field scan time-lapse mode which takes images at pre-set intervals. The camera has a 0.8-second trigger speed which allows capturing every single frame of every image. Its power runs up to one year with its one set of batteries. It records videos with 720×460 resolution. Its video length is programmable and can record from 1 second to 60 seconds with ah accommodated audio. The camera also features a quantum leap in distance and brightness that ensures sharp after-dark imagery equipped with LED flash that serves as an illumination. Just be careful with its LED that glows red which can give a warning notion to any target that moves around the area. The IR nightglow LED glows red which can easily be spotted by roaming subjects around the area. 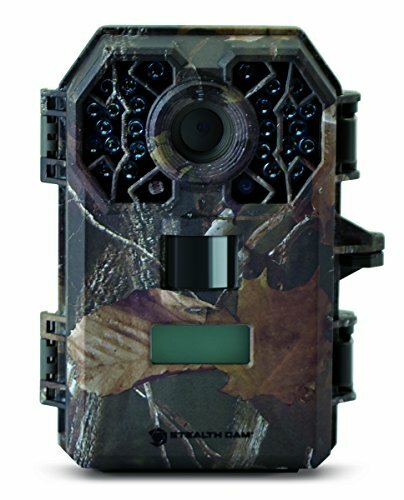 This game camera has a built-in PIR sensor which is capable of reaching around 50 ft. Its scope of detection reaches an area of over 50°in width. This case makes the camera easy to use without even doing the normal trigger movement. By just detecting a movement within its range, the camera will automatically snap images and its good to go. The Fulllight tech camera gives an option of choosing between 8MP and 5MP image resolution in full-color resolution. Its trigger speed runs around,0.8-1.2s and records videos of 720P resolution with accommodated audio. The camera has an IR night vision which allows it to capture images at any time of the day. Expect a colored image during daytime and black and white photos during the night which is illuminated with its equipped 24 pieces IR led. 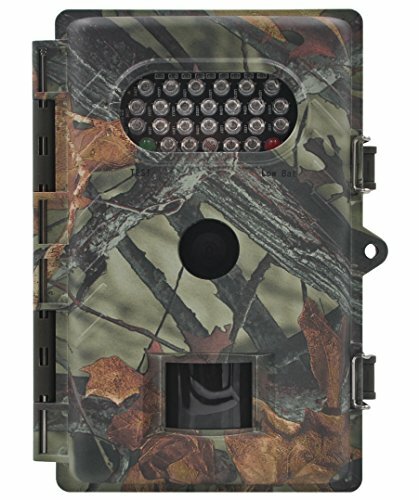 An additional feature of the camera is its camouflage type of cover for stealth purposes. With its small size of around 6.29x 4.72x 2.76 inches, its position cannot be noticed quickly. It is powered by 4 AA batteries. Though it can be powered by only four batteries, the camera is equipped with 12 battery slots which are intended for extra use that can last up to a year with complete battery slots on. For new users, it can take a bit of one’s patience to completely maneuver its controls so better consider that it in using the camera. The camera produces 8MP images colored resolution. It is equipped with18 pieces high-intensity infrared LEDs that provide illumination up to 55 ft. Flash Range. The camera with its motion detector that allows it to snap images once a movement is detected. Its trigger speed runs around 1 second and can record a video with a time span of 30 seconds. The camera can use up to 32 GB card for storage. It is powered up by 8 AA batteries. 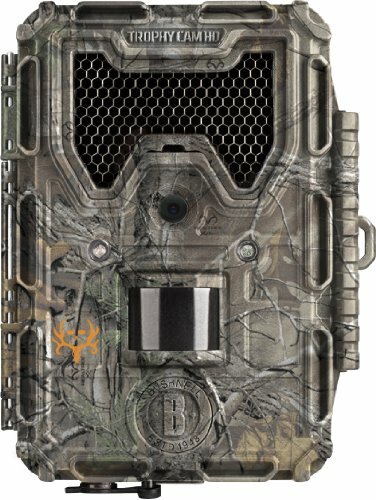 The BladeX8 LED Scouting Camera features a one-second trigger speed. Its battery life lasts up to a year and can store 30,000 images in it. It captures pictures and records videos at a span of 30 seconds. The X8 works compatibly with a 32GB SD card. Though it has good, capabilities, you need to be more patient in lingering the camera parts if you are not used to this type of model. The camera produces 8MP full-color resolution images. It records videos of 720p resolution with an accommodated audio. As a special feature of the camera is its a hyper passive infra-red (PIR) Motion sensor that reaches out to 60 feet. The camera’s Auto PIR sensor mode also allows the user to maximize consistency in all conditions. Auto-PIR monitors ambient temperature conditions and automatically regulates the trigger signal sensitivity based on temperature. Along with its automatic detection, the camera has equipped 32 LEDs that function as its flash that illuminates up to 60 feet. It boasts a 0.6-second trigger speed. Every trigger snaps 1-3 images that capture every motion of the detected subject. The camera features a double times field scan that allows the set-up of two windows of image capture. The field Scan time-lapse mode takes images at pre-set intervals.This allows the camera to take photos automatically at your choice of intervals without requiring the normal movement trigger. The camera is capable of producing 8-megapixel images. It has a night vision mode which provides illumination at nighttime and allows the camera to function at any time of the day. 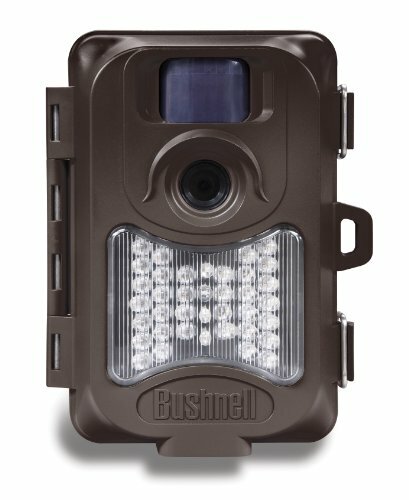 This is made possible with its equipped 32-LED flash intended for 24-hour game scouting. The image produced during daytime is at full-color resolution while black and white during nighttime. The camera features an activated PIR motion sensor which can reach up to 45 feet along with its flash range. Its PIR sensor can be adjusted according to low, medium or high, depending on the user’s choice. This is to avoid capturing of unnecessary images triggered by its high motion sensitivity. Like other cameras, this one has a field scan time-lapse technology which allows the user to preset automatic image capture intervals. This helps in lessening the work for the user of still taking the normal movement trigger. 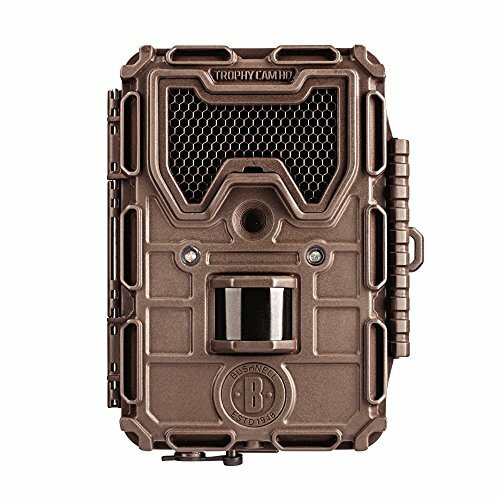 The camera is capable taking videos with a time span of up to 60 seconds with an accommodated audio made possible with its audio recorder. These images and videos can be stored in a 32GB SD card which works compatibly with the camera. For the camera’s motion sensitivity, better adjust it to prevent any false trigger and avoid placing it in places where there are objects that could block its sensors. The camera has an activated PIR motion sensor that has a scope of detection up to 45′ feet. Its sensitivity can be adjusted from low, med, or high sensitivity, depending on the user’s choice. Along with is its night vision mode which allows it to detect motion and take images even at nighttime. 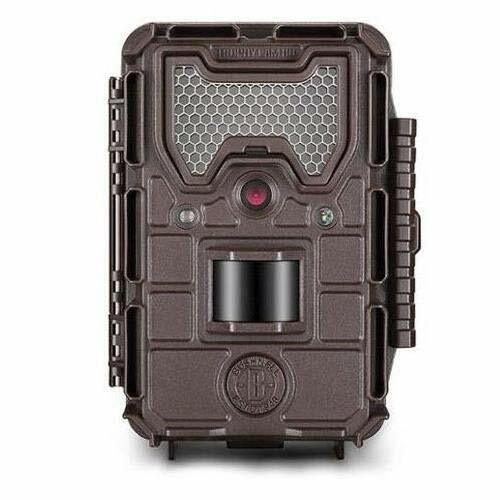 This is made possible with its night vision flash that is equipped with 36 LEDs that has a flash range up to 45 feet. The camera provides 2, 4 or 6MP full-color resolution images. It captures at a trigger speed of around 1-second and is accommodated with a multi-image mode which takes 1-3 images per trigger. It has a programmable trigger interval between 1 second to 10 minutes that allows the capture images automatically along with the set interval. This feature lessens the burden of going through the normal movement trigger in capturing pictures. It records videos with a resolution of 640×360 but no accommodated audio. The camera records videos around the length of 5 to 15. It also detects a temperature range of -5° F to 140° F.
For posting on walls or trees, the camera has an equipped adjustable web belt and 1/4-20 socket so it can be positioned in places where it cannot easily be seen by subjects of the camera. For storage, the camera works compatibly with a 32GB sized SD Card. The camera is powered by 8AA batteries and can last up to an estimate of 8 months. The camera features a time-lapse mode accommodated with a PIR motion sensor. This is a PIR Override that has a reflex trigger of less than a second. It automatically snaps images once it detects a movement of any object that falls under its scope of detection. Every trigger captures 1-3 images. It is also accompanied by 26 IR emitters that reach up to 70 feet range that features a Matrix Blur Reduction for the sharpness of snapped images. The Stealth Cam provides images within the choices of three resolutions. It can 8MP, 4MP or 2MP depending on the user’s choice. It records videos with a time span of 5 to 180 seconds accompanied by an audio. It is also capable of putting geotags on every taken picture. Date, exact time, the temperature in the picture is taken is specified. For the camera to properly detect motion and snap clear images, position it somewhere no other objects block the sensor of the camera. The sensor can be a bit sensitive when it comes to small movement within its scope. 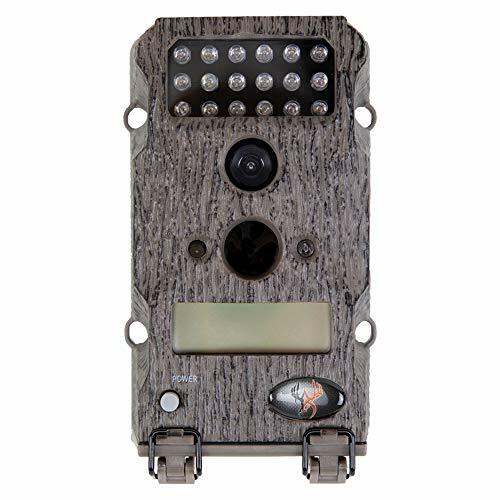 The camera has a motion sensor and hyper passive infrared sensor (PIR) that detects heat and movement for the camera to trigger and take images. With its hyper passive infrared sensor (PIR), its scope of detection range reaches up to 60 feet away. For this feature, the camera has an adjustable motion sensitivity to avoid false triggers and unnecessary images in the camera. It is accompanied by a field scan time-lapse mode which takes pictures at pre-set intervals. It has a 0.2-second trigger speed and captures 1-3 images per trigger. The Trophy Cam is capable of producing 8MP full-color resolution images. It records video with a 1280x720p resolution with an accommodated audio at a span of 60 seconds. It has night vision mode which provides illumination during the night up to 80’. It is equipped with 32 LEDs that serve as a flash in snapping images during the dark. The camera runs up to one year for one set of batteries. It works compatibly with a 32GB SD card to provide storage for triggered images by its auto sensor. However, you need to consider buying a class 10 SD card to make sure that it would perfectly with the camera. The camera is provided with PIR motion sensor which is activated up to 60′. It is accommodated with a field scan time-lapse mode that takes images at pre-set intervals and does no longer require the normal movement trigger to snap images. The Trophy Cam provides 8MP full-color resolution images. It captures videos with 1280x720p resolution and is accommodated with recorded audio. Its record lasts up to 60 seconds every take. The camera runs up to one year with its one set of batteries and works compatibly with class 4, 6, and 10 speed SD cards. Its nighttime images can be a bit blurry so better adjust the settings of its flash to assure illumination around the area for better images.